Developmental Biology of the Sea Urchin Embryo discusses both structural and experimental observations on the morphological and metabolical aspects of sea urchin embryology. It is organized into two major parts, designated morphogenesis and related problems and metabolism. 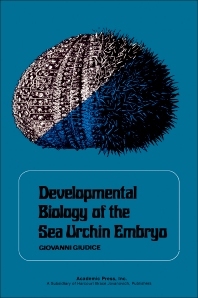 These parts encompass 12 chapters that cover the role of sea urchin embryology in developmental biology and the advantages and limitations of using sea urchin embryo in the study of developmental problems. The introductory chapters describe the morphogenesis, ultrastructure, and physiology of fertilization of sea urchin embryo, including the process of modification of the egg surface. A discussion on cell dissociation and reaggregation in sea urchin embryos from blastula stage is provided. The core chapters of Part II cover the activation of respiration, nucleic acid and protein synthesis, and several other enzymatic activities.